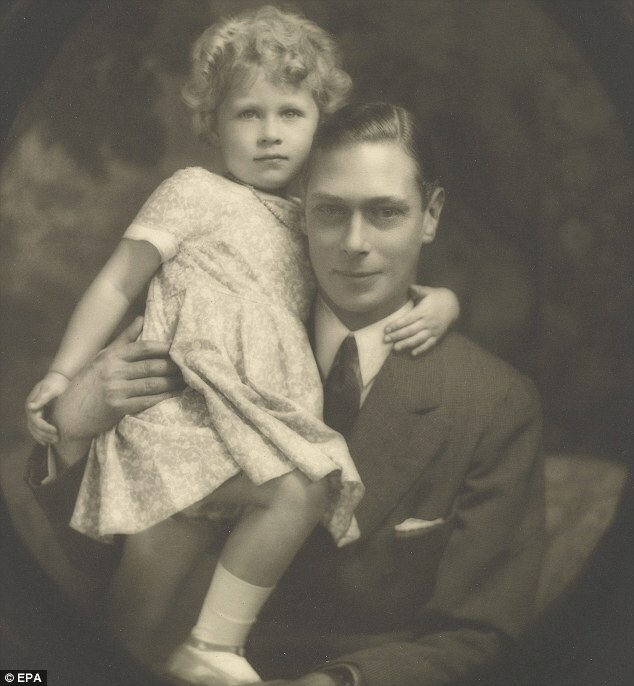 Queen Elizabeth and her father. I’ve mentioned my friend, Elna, recently, as well as her blog. Several months ago, Elna shared a documentary about Queen Elizabeth that was quite fascinating. My entire family has a great admiration for all things British, and this piece on the Queen at 90 did not disappoint. I wish I could link to it, but unfortunately, it seems to have been removed since I viewed it in April. The documentary included some never-before-seen footage of the Queen as a baby, a young woman, and then as Queen – both public and private moments. At first glance, being the queen appears wonderful. But, as we are all aware, drama knows no boundary- just look at the Prince of Wales and Princess Diana. I do admire the Queen. She has been strong and stable, and has tried to lead by example. Two things leaped out at me when I watched this. The first was a comment that Queen Elizabeth’s becoming the longest reigning monarch meant more to the world than it did to her. She became Queen in 1952 at age 21, following her father’s death. Her sudden ascendancy to the throne was because of sudden loss. I believe she would trade her history-making status to have had her father longer. The second thing that struck me was a statement made at the end of the documentary. At the conclusion, Her Majesty’s loved ones are asked to say happy birthday. Each person says loving things, but my favorite one was made by an elderly cousin of the Queen who had grown up with Her Majesty. She wished her a very happy birthday and wanted her to know that “the king would be proud.” The words got my attention. Of course, this lady was speaking of King George VI. What kind words to give to woman who has been without her father for 64 years! This sentiment made me think of my own father, and then of my King, the King of Kings. If you want to hurt a person deeply, tell them a deceased, or living, parent would be disappointed in them. If you want to sincerely honor a person’s accomplishments, tell them those parents would be proud. As a rowdy child and somewhat of a trouble-maker, I brought my parents much grief. As a born-again adult, I see the debt that I owe. Nothing would give me greater joy on this Earth than bringing honor to the lovely names of Ron and Carolyn Courtney; nothing means more than making all of their heartache worth something. Likewise, I have a tender and loving Savior, a Good Shepherd who searched for me in the rain and fog, Who found me sunk in the miry clay of sin, and Who lifted me out of it. (Psalm 40:2) He called me to Himself, He washed me of my sin, and He gently guides me today. I know that in my own merit I could never make my father or my King proud. But through Christ, I can do both.